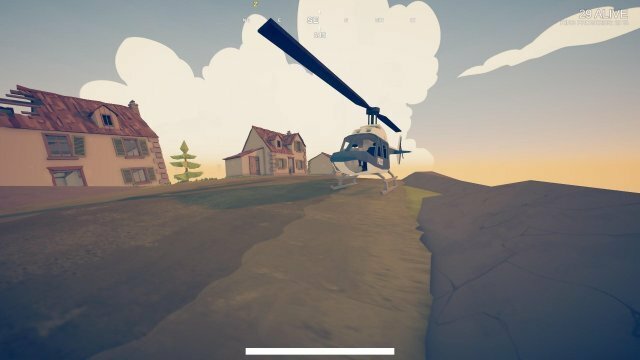 Helicopter locations, tips and tricks. 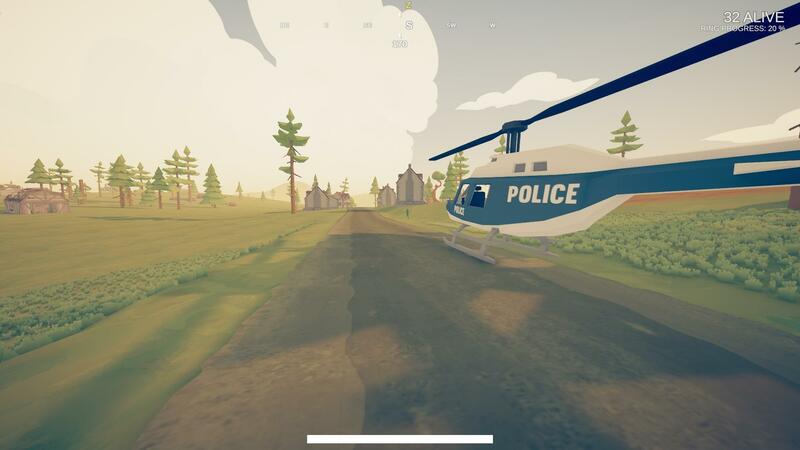 Wait, there are helicopters in this game?! Yes there are, but they're hard to find. In this guide I'll explain how to find them, and how to pilot one. 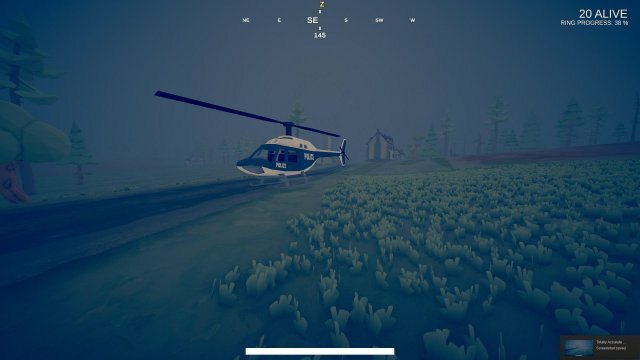 UPD: Helicopters used to spawn in few fixed locations and were a rare find (this guide's original pupose was mainly to teach about these), but since patch 7, helicopters share their spawn points with cars. You'll most likely find one on the side of the road. On the north side of the ruins, right next to a wall a helicopter can spawn. It's parked in between a bunch of trees though so you'll have to move it out to open terrain very carefully before you can put the pedal to the metal. 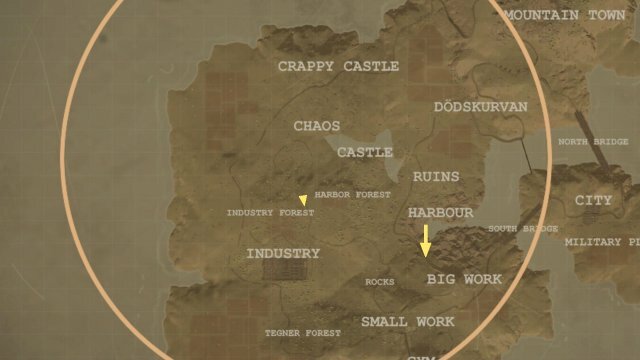 Both on the north and south side of this town are spawn locations for a helicopter. Both are also on the road that runs through the town, so you should have no problems finding it. a big plus is that the the forest is not very dense, so there's ample of room to 'fly' away. 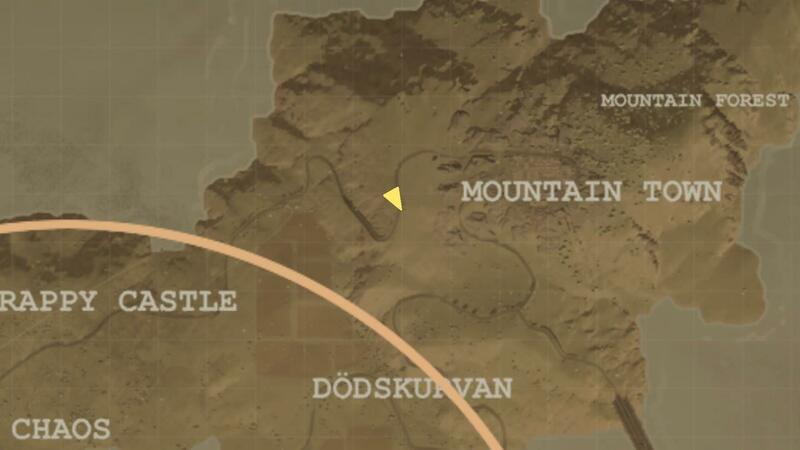 On one of the highest points on the map is another location where a heli can spawn. It's on the road right next to the houses. To get an idea if you've never piloted the heli before, it's very 'floaty'. It has quite a wide turning circle if you're going fast, so if you have little room for cornering you should slow down. It also doesn't handle well when it is almost standing still, which is why 'parking' it can be a pain. Accelleration and braking is very quick, after about 3 seconds you can go from zero to top speed and vice versa. In terms of speed, it's about twice as fast as the car, which means practicaly any point on the map can be reached within 2 minutes (so if you're stuck outside the circle when piloting a chopper you only have yourself to blame). 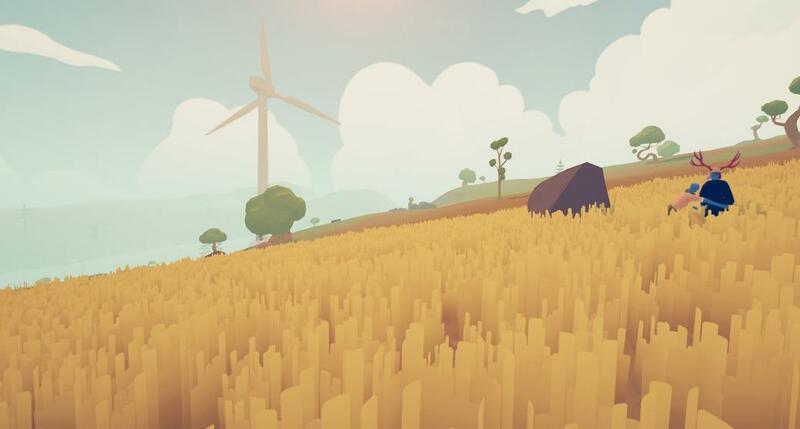 Because of it's floatiness, you can catch quite some air if you use a convenient rock or hill as a ramp, allowing you to skip over difficult terrain. They don't collide with anything, so you can fly close to map geometery without having to to take clearance into account. Same goes for the tailblade. 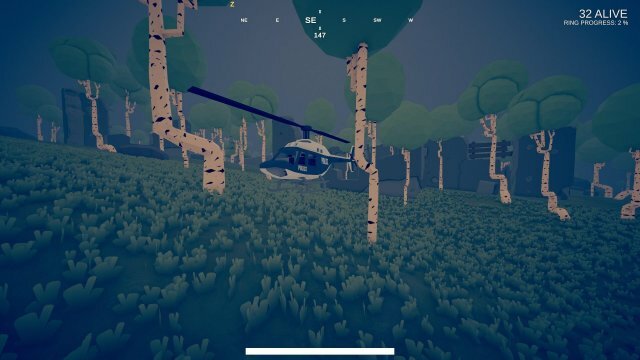 If there's a car nearby you can try pushing the heli from the side, away from the tree. Otherwise it's pretty much game over. The copter needs to pick up some speed before it can turn properly, it can't turn on the spot like the car.